Transit Origin-Destination Study | Resource Systems Group, Inc. 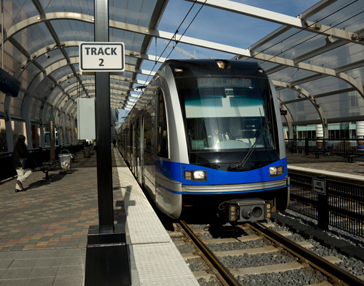 The Charlotte Area Transit System (CATS) wanted to conduct a system-wide origin-destination study to better understand their transit markets, as well as to collect data for a Federal Transit Administration study before construction began on the LYNX LRT Blue Line extension. RSG teamed with ETC Institute to conduct the CATS system-wide origin-destination study. The RSG team first conducted an On-to-Off survey to understand boarding and alighting pairs throughout the system. These data were collected via GPS-enabled barcode scanners, which surveyors used to scan cards that were handed to customers as they boarded and collected from customers as they alighted. These on-to-off data were used to construct a sampling plan for the full OD survey that properly represented travel patterns on the bus and LRT. The RSG team conducted the full OD survey onboard via in-person interviews using web-enabled tablets, and also collected auxiliary data at the larger park-and-ride locations to better understand traffic flows and vehicle occupancy. RSG was responsible for overall project management, quality assurance/quality control, and methodology planning.